In a large bowl, stir together the beer, broth, and 1 teaspoon of salt. Add the chicken. Cover and refrigerate for 3-6 hours. In a pie plate or other shallow dish, stir together the paprika, onion powder, cayenne, nutmeg, and remaining 1/4 teaspoon salt. Remove the chicken from the marinade and pat each piece dry. Coat in the seasoning mix and let sit for 10 minutes. Heat the olive oil over medium heat in a large cast iron skillet. When hot, add the chicken and cook for about 4 minutes on each side, until golden. Place the skillet in the oven and continue to cook for about 25-30 minutes, or until the chicken is cooked through. While the chicken cooks, pulse together the sauce ingredients until smooth and season with salt as needed. Cook the noodles and vegetable. Serve the chicken over the noodles covered with the sauce. Note: I did make some sauce first by subbing milk for the beer for my kids. I served them the noodles with the beer-free sauce, along with vegetables, and fish sticks to avoid the alcohol, yet still have a family dinner. 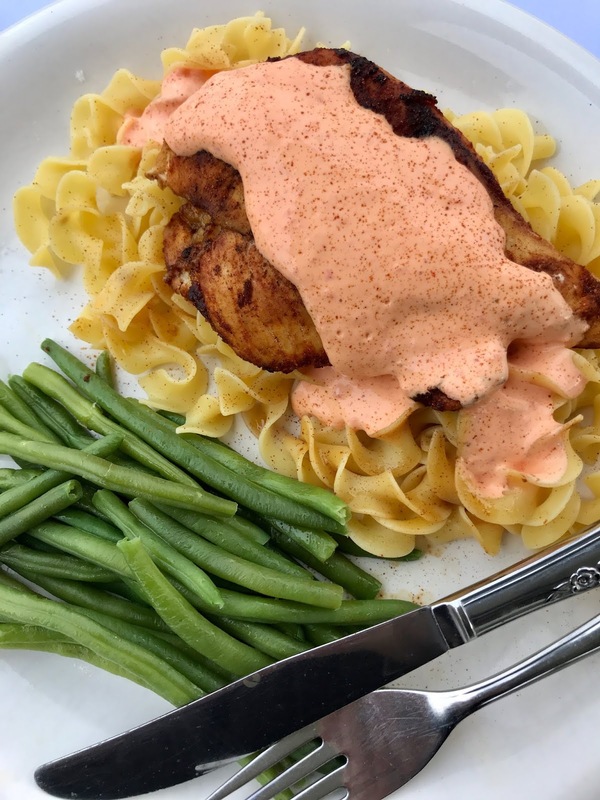 Sounds and looks really great with that creamy red pepper sauce, Amy. Oh, delicious! I love the sound of and looks of that sauce, bet it's delicious with the chicken! And beer in it is a plus! 😊 thanks for the recipe! This would be fantastic for a romantic dinner for two. 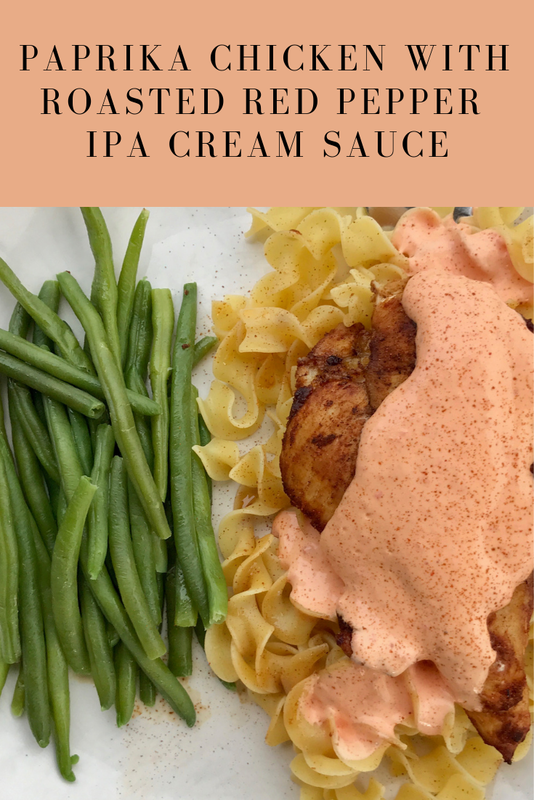 IPA cream sauce? Neat idea! Never had that -- gotta try it. Thanks! What a lovely dish Amy, I love all the ingredients in the chicken and the sauce is to die for...super tasty. Thanks for the recipe and Happy Valentine's Day!